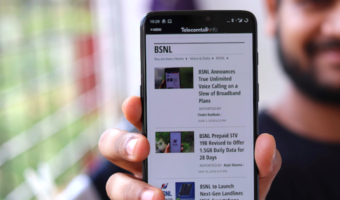 Reliance communications the fourth largest operator by subscriber base has launched an attractive special tariff voucher for its prepaid GSM subscribers in Tamil Nadu circle. The new voucher is dubbed as unlimited local calling voucher which is actually a combo pack offering both voice and data benefits. The pack denomination is Rs. 297 and it offers unlimited local calling to other reliance numbers and 3000 minutes for calling other operators local network for both mobile and landline. Along with the voice benefits, the plan also includes 297 MB of 2G data and the pack validity is 28 days. The details of the pack are given below. Even if we were to not consider the unlimited local on net calling and the 2G data benefit, the effective call rate for other local networks comes up to 10p/min (3000 mins for Rs.297). This is one of the cheapest voice rate cutter STV currently being offered by any operator. Subscribers in Tamil Nadu are advised to check with customer care before recharging with the above mentioned denomination. Now I possesses a jio sim and Rcom (cdma) 4G sim. Reliance 3G network is fantastic. Their 3G BTS are not super overloaded like airtel Vodafone idea. These results are based on my area. Previously this speed was not here from Reliance. Now they have much improved. Vodafone and Idea have decrease their speed. But rcom gsm have coverage problem here. One thing, I rarely use my rcom gsm sim for this coverage problem but keeping it alive on the hope that one day this sim will be upgraded to a 4g sim and able to latch onto Jio4g network. Jyotirmoy Da Sobai boleche reliance naki Kolkata circle er number guloy prochur sostar offers dichhe 52 takay unlimited 2g,18 takay 1gb 2g, Janle ektu bolo Ekta Kolkata circle er number kinbo bhabchi. Rcom gsm kolkata’r katha bolchho to?